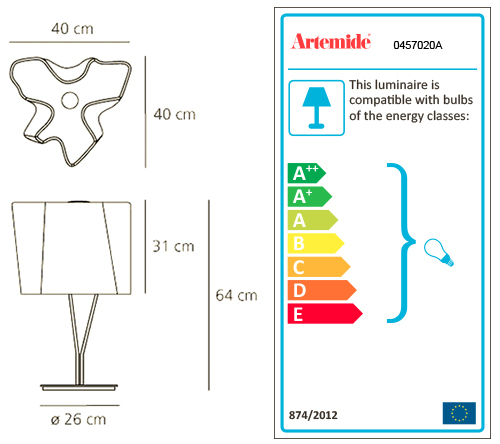 ARTEMIDE LOGICO TABLE is a table lamp. Equipped with a touch dimmer to adjust the light intensity. Bulbs not included, 3x46W Halo o 3x9W LED DIM (E27). Dimmer.